It's the spring of 1850, and Ada Wilcox wants nothing more than to grieve in private for her son who recently died of fever and ague in their Missouri farmhouse. But a law passed by Congress-making fertile land available in the Oregon Territory-would capture her husband's imagination and change their lives forever. The Wilcox farm has been unprofitable for years, threatening the family's survival. But now, acres of free land are up for grabs in Oregon to any family willing to make the long, treacherous journey there by wagon train and claim it. 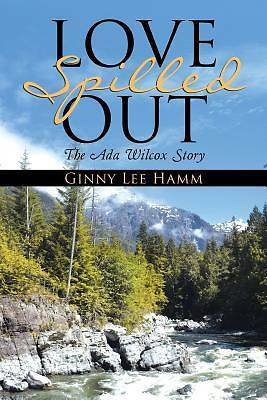 Ada has no choice but to abide by her husband's decision to sell the farm and travel west with him and their eight-year-old daughter, Ruthie. Her resentment festers against her husband for taking her away from her home and her son's grave, and against God, who had not healed her son-leaving her angry, confused, and despondent. During the grueling trek across the plains, mountains, and rivers, Ada learns how to work through grief from those she befriends on the wagon train to Oregon. But more importantly, she learns what it means to submit to God's authority and trust Him completely. While ministering to the needs of others, she transforms their lives as well as her own and begins to restore her relationship with her Lord, her husband, and her daughter.